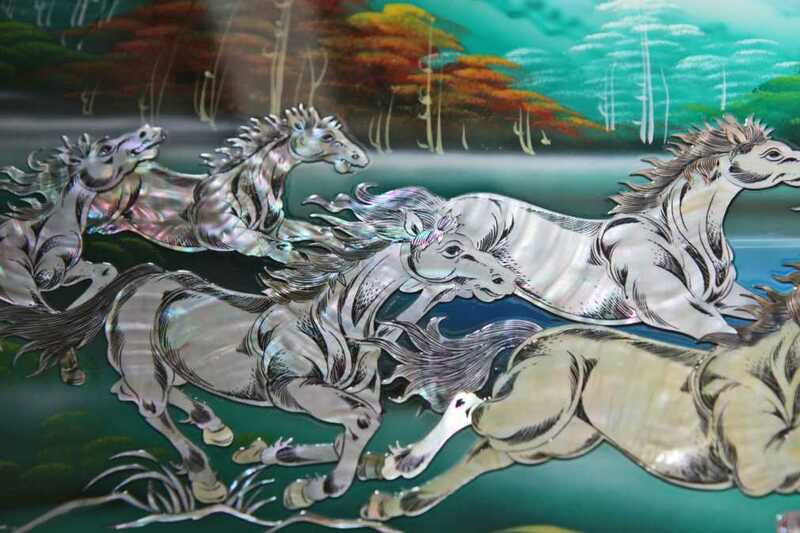 Exquisite mother of pearl painting of eight wild horses. Bat Ma is the Vietnamese name of this painting. 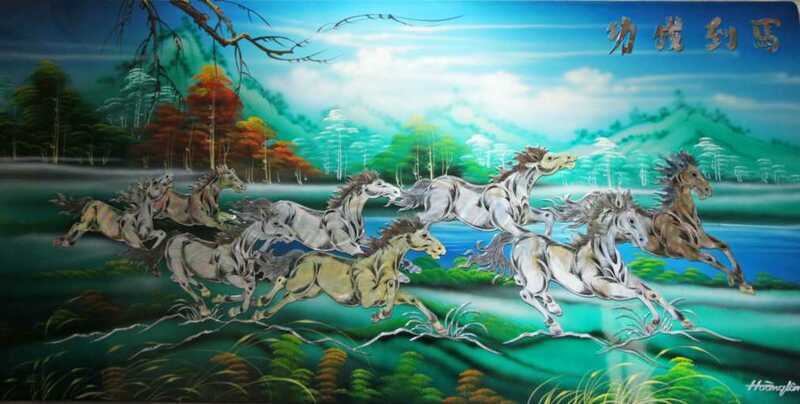 Eight horse also represent great energy, power and success.